Pop Work & Company is new on the block and you will have seen I have already reviewed their rather cheesy smelling Peanut Butter & Caramel version. Yes that’s right I said cheesy! I am still baffled by its smell but I am glad I am not the only one that thought it smelt of cheese. 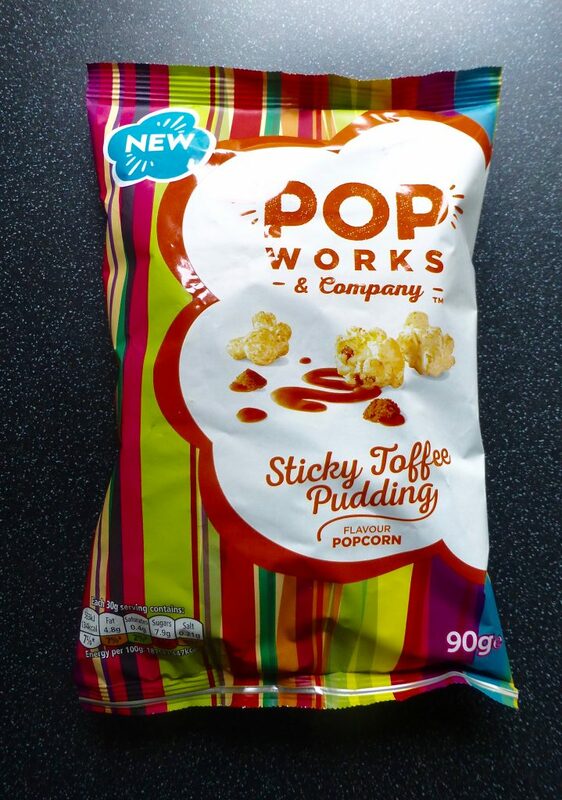 Today’s review is all about Pop Works & Company Sticky Toffee Pudding and I am hoping it is puddingy. 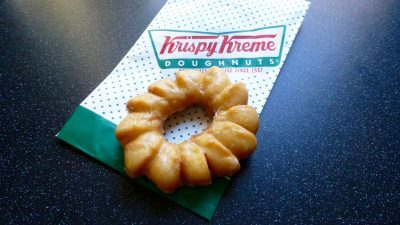 Sticky Toffee Pudding is one of the four that they have released here in the UK and is actually the one I bought first. 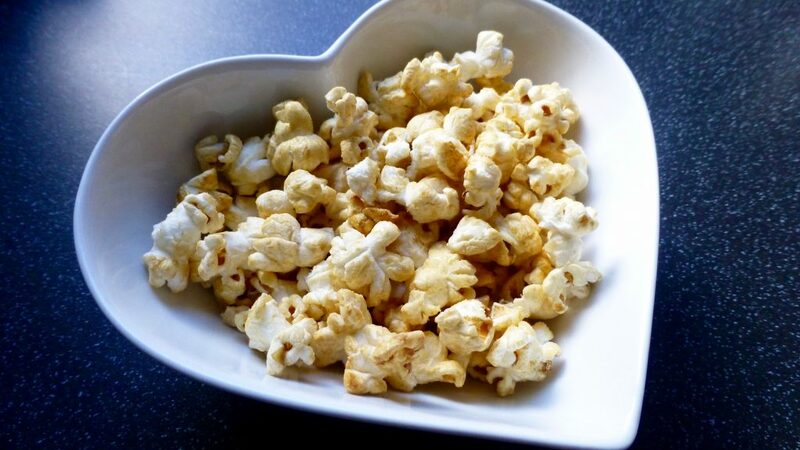 Sticky Toffee Pudding is one of my favourite puddings (with lashings of custard of course) so I was instantly drawn to how they would pull this off in popcorn form. It was on introductory offer for £1.00 for a 90g bag at Ocado, and is readily available in all Supermarkets now, and bizarrely enough I spied it in the local BP Petrol station the other day. 30g Serving: 134 kcal, 0.4g sat fat, 7.9g sugar & 1.7g protein. Opening the bag I gingerly took a whiff….. huzzah no cheesey smell!! That already puts us on better ground. Again I would have expected more of a sticky glaze however like previously it is a slightly grainy coating which you can just see. There was certainly a mix with some popped kernels being more intense than others. The darker ones gave quite a bitter toffee taste whilst the lighter ones gave a sweeter side to things. After a few handfuls the taste of sticky toffee pudding actually started to come through and it particularly had a spongey pud element to it. Pop Works & Company Sticky Toffee Pudding you are pretty delicious and a wee bit addictive. This flavour is a million times better than the Peanut Butter & Caramel and is far more realistic to its namesake. Bravo Pop Works now we are talking. Certainly one to try, vegetarians rejoice because you can also tuck in. So what are you waiting for, go grab yourself a bag!